This course is based on Minnesota & National EMS Education Standards that will govern the way you learn and practice EMS. This course meets the current American Heart Association guidelines for CPR and ECC. 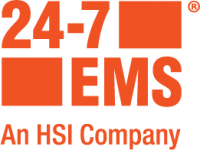 We will be using the Emergency Care 13th edition, This is the most current selection of EMS practice and shows what the EMS systems and EMT’s are doing around the country. 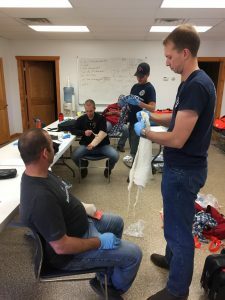 Students will be taught to recognize, safely assess and effectively manage crisis situations and patients of an emergency nature encountered in the field Prehospital setting. 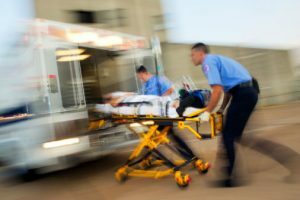 EMT’s can work in areas such as an Ambulance driver, Emergency Department, Clinic, EMS team for Fire, Police departments, Event work, and Transportation drivers. Day and Weekend sessions. See online calendar for schedules. 1. AHA BLS CPR online access for 2 years, skills only in class.